On 22 June 1941, Hitler s armies launched Operation Barbarossa and swept in to the Soviet Union. On the same day, the Spanish Foreign Minister, Ramon Serrano Suner, contacted the German embassy in Madrid with an extraordinary proposal would the German government welcome the addition of a force of Spanish volunteers in the war against the Russians? 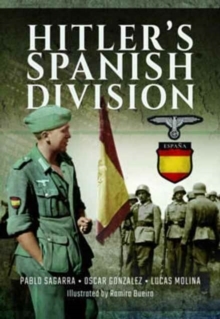 Officially designed by the Wehrmacht as the 250th Infantry Division, but commonly referred to as the Azul or Blue Division after the colour of Spain s Falangist (Fascist) Party, this force initially amounted to some 18,000 volunteers under the command of the fiercely anti-communist General Agustin Munoz-Grandes. 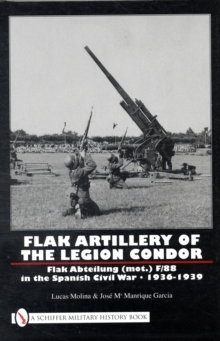 Of the first 18,694 men who entrained for Germany during July 1941, seventy percent, including every officer from captain on up, were from the regular army, whilst most of the rest were Spanish Civil War veterans. By the time that the Blue Division returned home, 47,000 Spaniards had been involved in fighting on the Russian front. There were 22,000 casualties: 4,500 dead, 8,000 wounded, 7,800 sick and 1,600 suffering from frostbite. 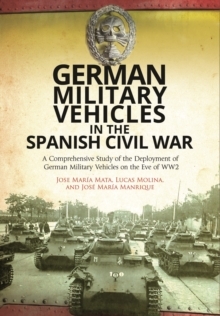 As the authors reveal, Spaniards also volunteered or served in other units or organisation. 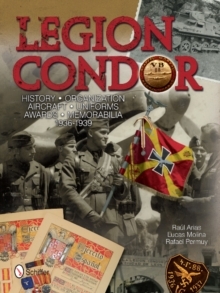 This highly-illustrated book examines the history, personalities, and uniforms and equipment of those men and women who volunteered to serve alongside Hitler s armies. Along with full-colour drawings, there are many rare photographs provided by survivors.